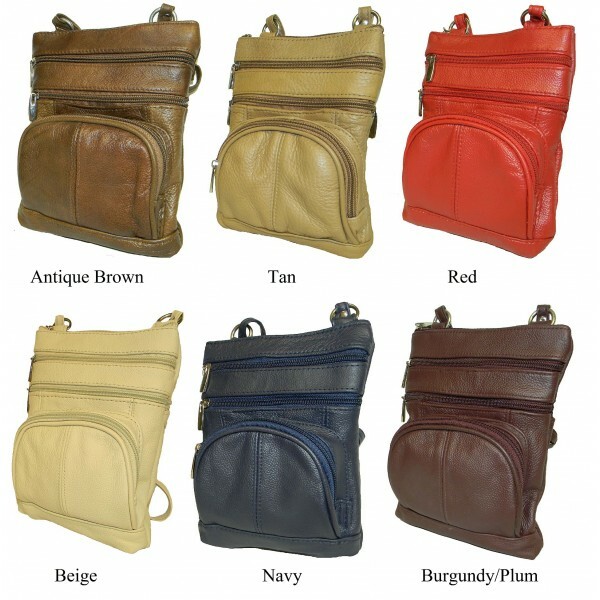 Large travel pouch in genuine cowhide. Top zip compartment, 2 front sip pockets & 1 back zip pocket and a cellphone pocket for a smart phone. Front organizer zip pocket has ID window & 3 credit card slots. Adjustable neck/body strap. 7" x 9" approx.